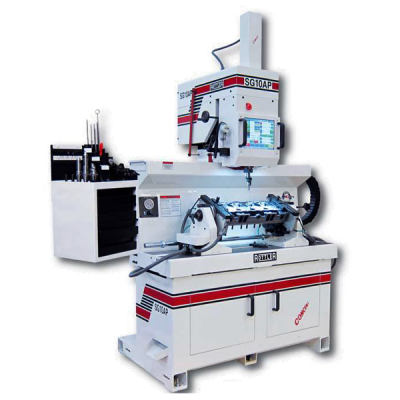 Rottler Manufacturing offers a complete range of machines for every type of engine builder with a machine designed specifically for your application. From major OEMs, to production rebuilders, to every segment of high performance and one- or two-man shops, Rottler machines are designed and constructed to meet the most critical demands. Rottler equipment is not built to be warehoused for some potential future sale; each piece is custombuilt to the exacting standards demanded by the most accurate machining companiesin the world. Conversational Touch Screen Control that allows the operator to program the machine to cut at a certain RPM with a specific feed rate. This eliminates chatter on hard-to-cut seats by eliminating the human error when trying to machine difficult seats. The machine feeds down at a constant rate to a gi..